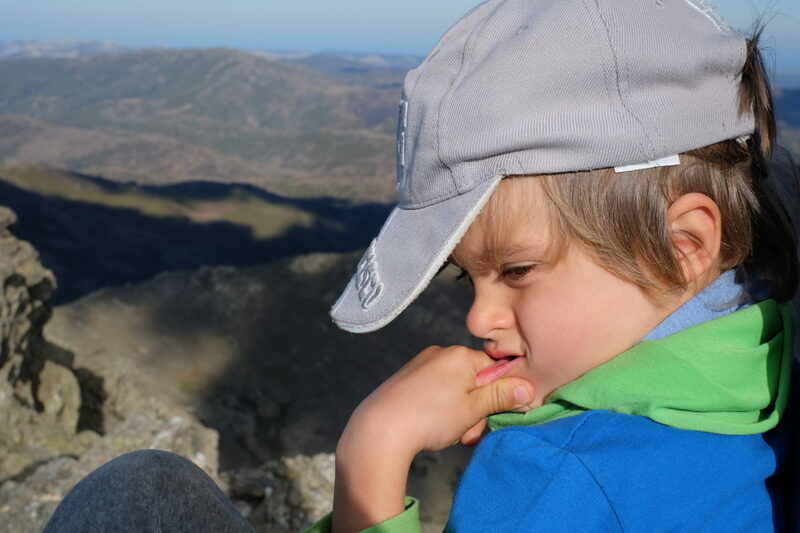 Being an active family with a special thing for the mountains, it was no longer than the third day on Sardinia that we set off towards the mountainous region Gennargentu and the highest peak of the island, Punta La Marmora. After a 3-hour drive on curvy roads with unnerved kids on the verge of throwing up, we arrived at the trailhead all wearing the “it better be worth it!” attitude. 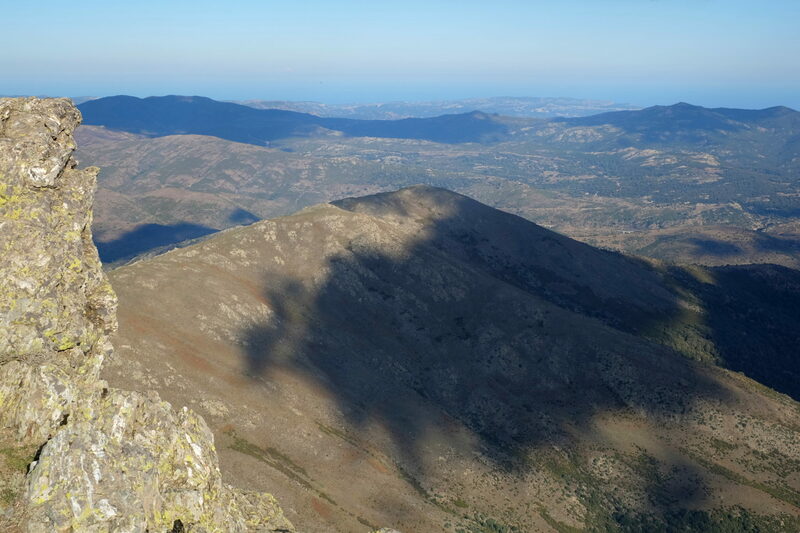 As it turned out, hiking Punta La Marmora has a lot to offer and easily qualifies as the best trip we made in Sardinia. Yes, it was well worth it to say the least. 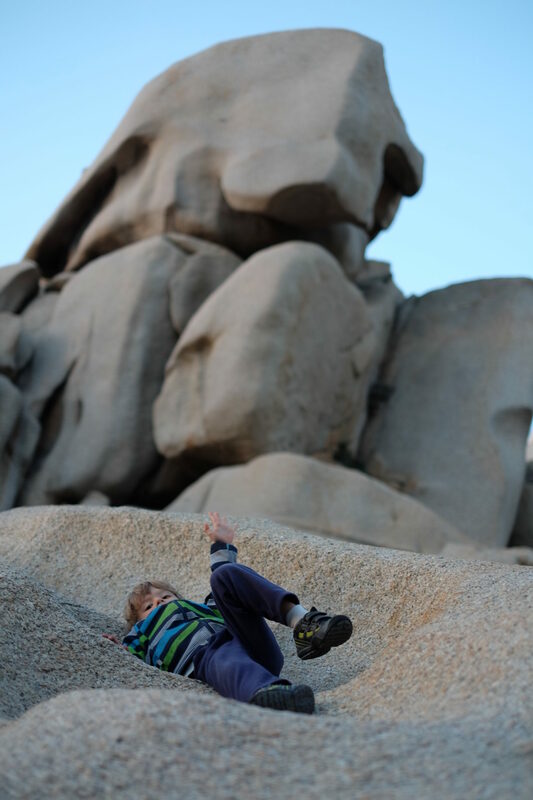 As temperatures on this Mediterranean island usually stay well above average temperatures back home, Sardinia is one of our top destinations for the autumn school break holidays at the beginning of November. While you can still sunbathe at the beach, there are countless outdoor activities to keep the whole family busy all day. For us it was windsurfing, SUP surfing, cycling, hiking and, naturally, exploring new grounds (a blog post to follow…). Back to Punta La Marmora. 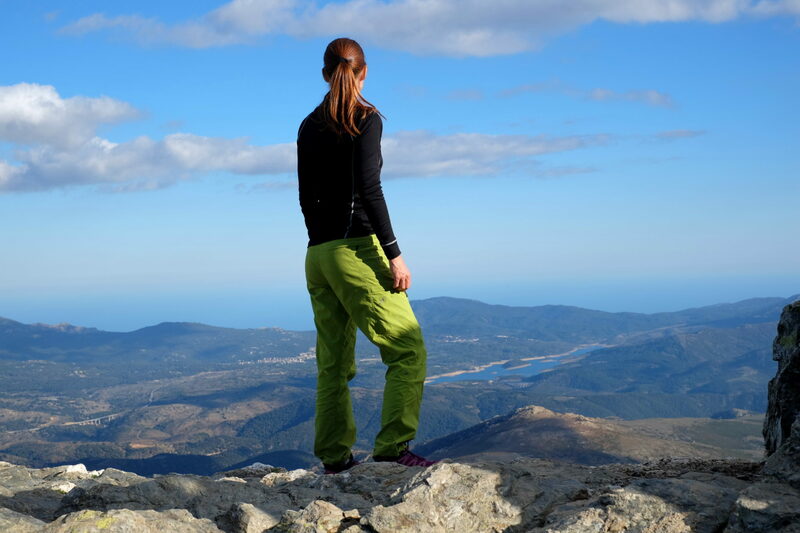 Since little is written about hiking Sardinia’s highest mountain, we didn’t know exactly what to expect. In fact, we knew only that it was technically easy and the route was supposed to take 3 hours each way. Considering we were doing the hike with two small kids, the hike would probably extend to a day trip. If you do a little math, you can imagine we lost all hope of actually making it to the top having arrived at the trailhead as late as noon. The plan thus changed from all family to the top to the seemingly more realistic plan of all family members walking until kids passed out and me alone to the top. 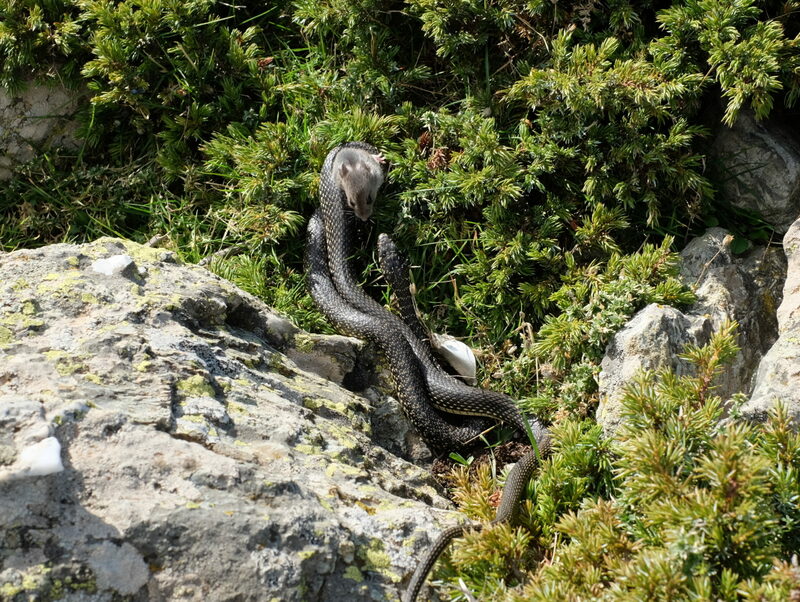 So, we started the hike optimistically as a mouse in a snake’s grip. The breathtaking scenery resembling that on the Mars and the unexpected easy trail eventually changed our mood. 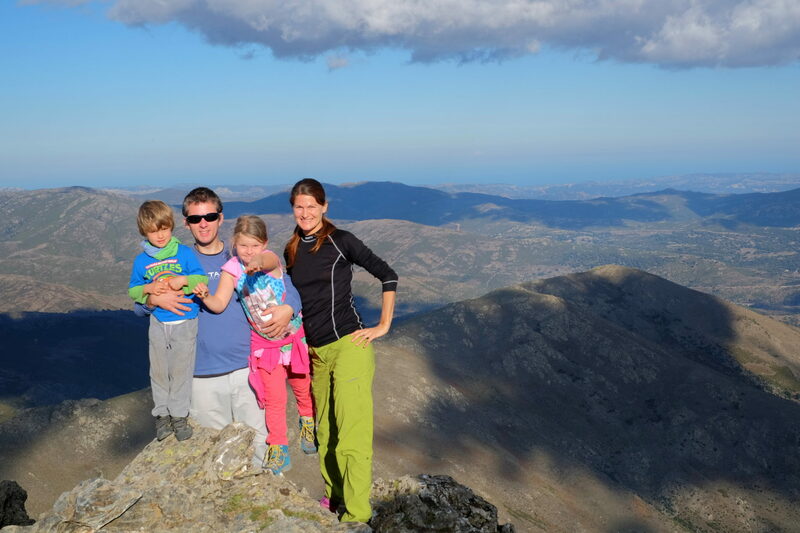 We knew its description said easy, but being used to Slovenian mountains and our definition of “easy”, hiking Punta La Marmora seemed like a walk in a park. Since we started our hike at a considerable elevation to begin with, we were looking at a rather long trail with little elevation gain, ca. 400 m. So, there it was; a nice wide enough trail ascending very slowly first around two other mountains, Bruncu Spina and P. Paulinu, and then finally taking a relatively steep turn to the top of Punta La Marmora. The only thing that kept worrying us was the length of the route. 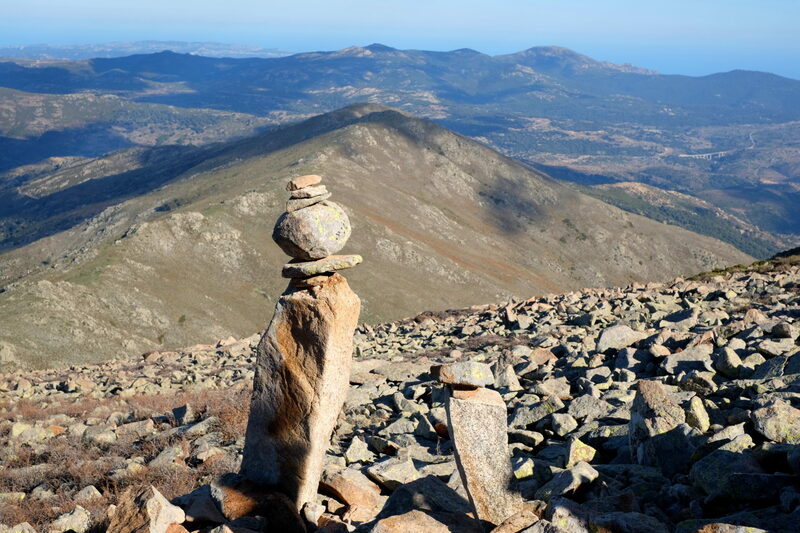 As it turned out, Italians take their hiking, just as other things in life, very slowly, thus giving hikers a lot of extra space within the estimated time for the hike. 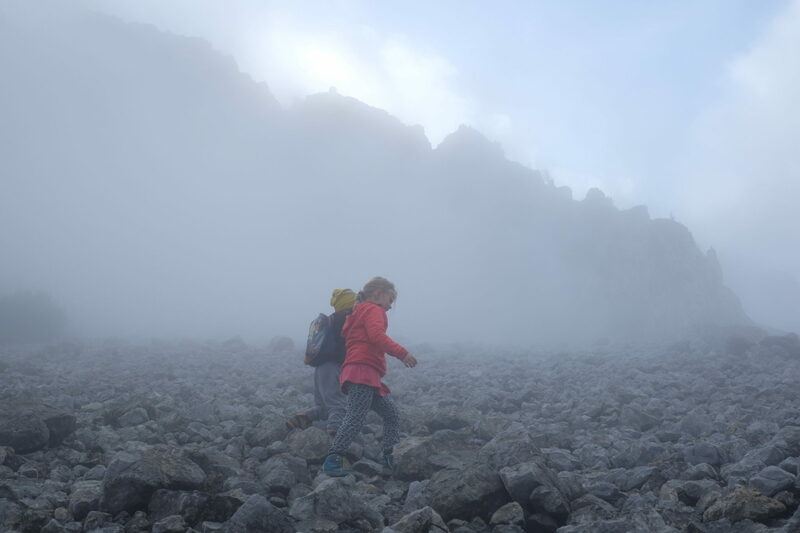 We reached the peak in 2.15 hours instead of the marked three hours, regardless of countless stops for snacks, drinks, photos and the alike you do when hiking with kids. Nevertheless, we didn’t mind one bit. 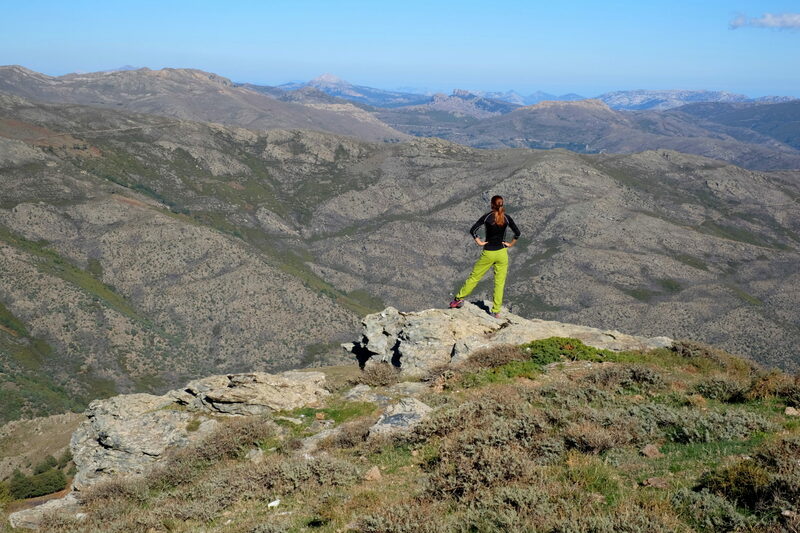 Sardinia’s highest summit offered views over the barren landscape of the mountainous part of the island and the blue Mediterranean Sea not too far behind. It also gave us something else; a glimpse of real life for the animals and the rules of nature that apply. A few steps from the summit I heard a helpless squeak, a few actually, that got me turning my head to the source of the sound. A snake tail was undeniably hanging from a rock. Although I’m not exactly the kind of person to be in love with the creepy wigglers, I was definitely intrigued by the combination of a snake and a squeak. A green whip snake curled around a helpless mouse. The look between the prey and the predator tells half of the story. 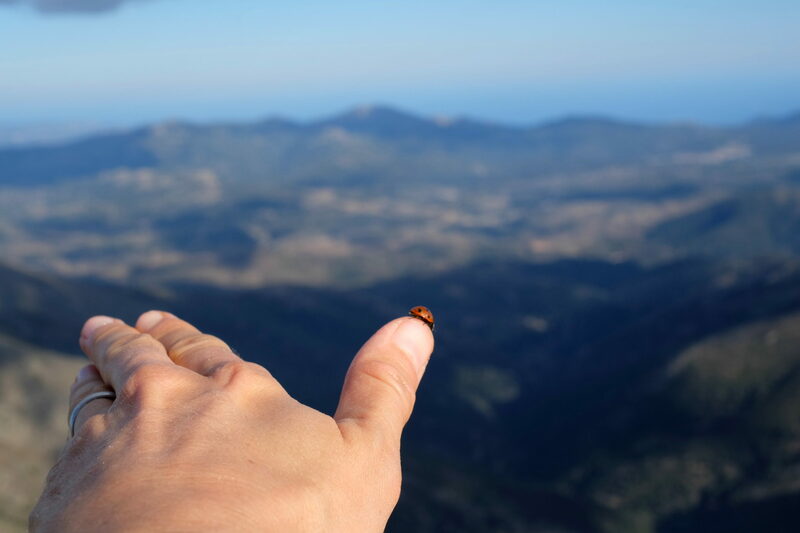 Here is a ladybug for good luck. All in all, Punta La Marmora was an incredible, a sort of once in a lifetime experience. 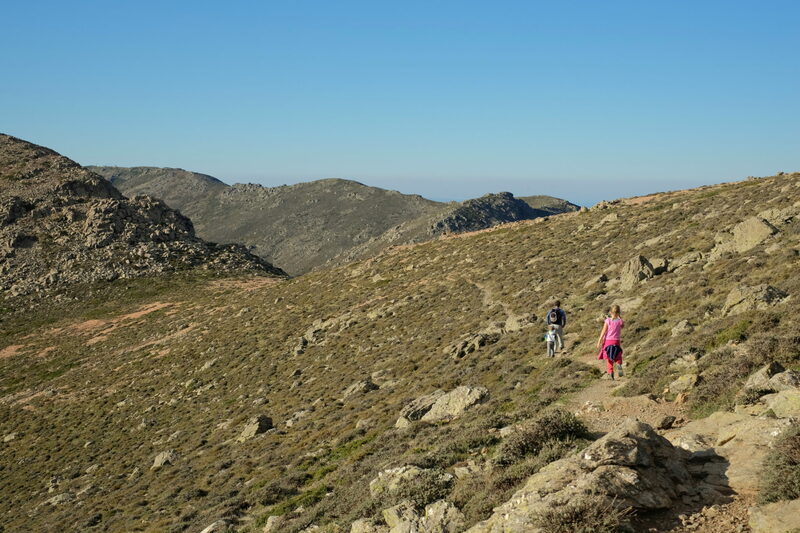 We consider ourselves lucky for having walked in a beautiful landscape, completely different from the mountainside back home, and finishing the whole route as a family. But most of all, we consider ourselves lucky for taking a glimpse at the other side of the nature’s otherwise so tightly closed curtain. Perhaps we’ll get another chance someday; though about as possible as that little mouse actually escaping, the best is to just keep going outdoors and enjoying all the things nature has to offer. All I can say is until next time! Ottima recensione per la nostra montagna più alta. Adoro il Gennargentu e non manco mai di andarci a fare delle indimenticabili escursioni. Ciao tanta buona strada nella nostra meravigliosa Sardegna.